Let us dance in the sun wearing wild flowers in our hair. 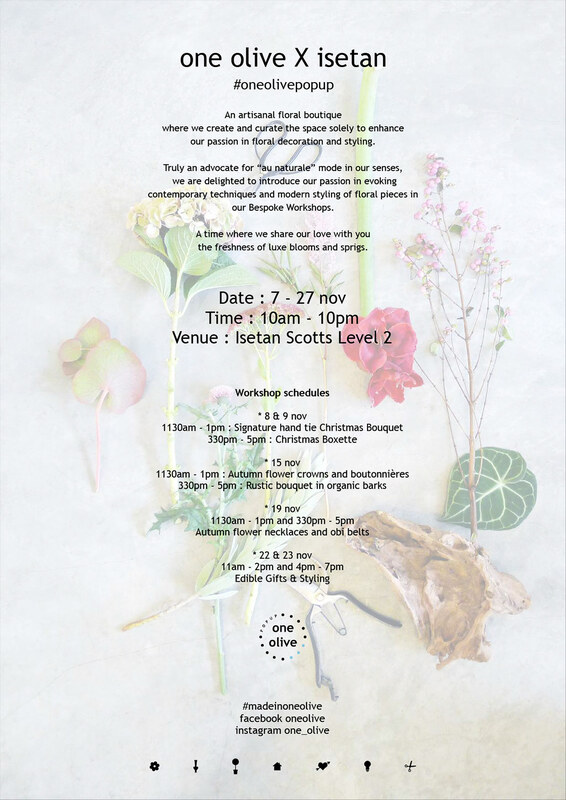 Explore your artistic side with this floral x art jam class. Craft a hand tie bouquet filled with vibrant summer colours and immortalise your bouquet in a canvas painting! 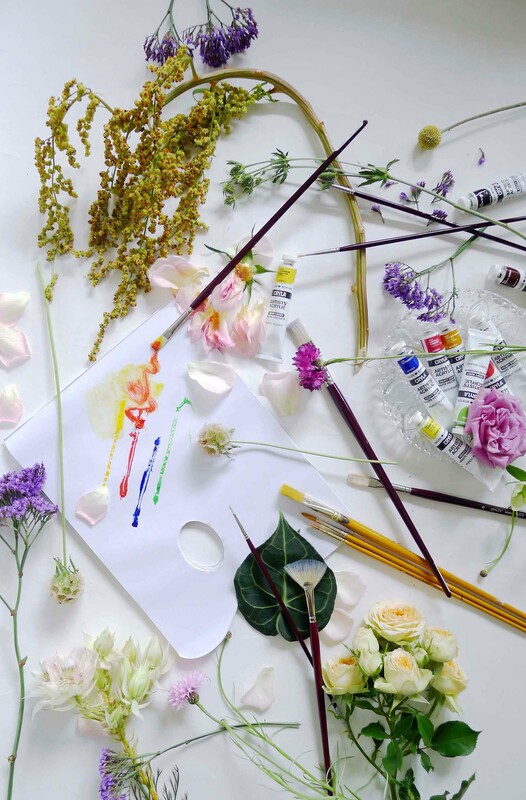 Combining the art of floral design and painting, this class will allow you to express yourself in ways that you cannot imagine. Master the craft to put together different types of summer florals in a bouquet and get tips on the different painting techniques to use when painting your very own bouquet. Learn how to paint intricate leaves and petals, practising your colour blending techniques in the process. This workshop is perfect for beginners to gain an understanding of how to paint an artwork. Participants get to go home with a hand-tie bouquet and a canvas painting. All materials will be provided, just show up and get ready to express! Do book early as we have limited slots available! Cleo Thang is an independent art educator and practitioner. Cleo has dedicated over 16 years to teaching visual art and art history at tertiary level. She was the recipient of the Chen Chong Swee Art Scholarship awarded by the National Arts Council of Singapore in 1998. Cleo holds a Masters degree (M.Phil in History of Art) from the University of Birmingham (UK), and a Bachelor degree in Fine Arts from Washington State University (USA). She currently lectures at the School of Art, Design and Media of Nanyang Technological University and Nanyang Academy of Fine Arts. Amy Yap is trained in La Salle College of Arts with a Diploma in Fashion Design and a Master course in Dutch floral design (MDFD) from Boerma Institute in Holland, she enjoys the world of floral design and the perfect world of floristry. She takes cues from nature and creates works that reflect her design aesthetics. As a floral designer, inspiration is everywhere, drawn from music, colors, fashion, food and travels. Amy creates designs that allows the already beautiful flowers to shine and simply sing. Every wedding is a special occasion to remember for life. 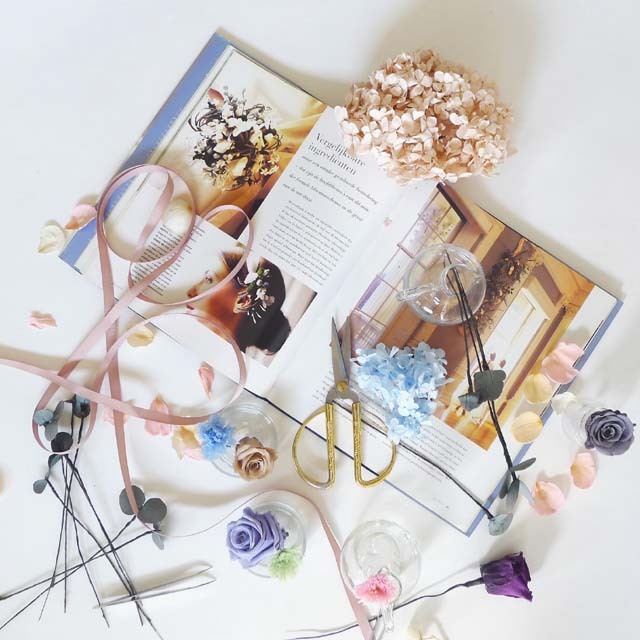 How best to remember than to craft a special wedding memory to keep! Adorn your hair with a preserved bridal hairpiece and these preserved flowers are perfect as they last indefinitely with proper care. Learn proper wiring techniques to craft that special piece! Choose from three different themes of pastels, whites & greens, blues & purples, the hairpiece can be worn for many occasions to come. Sign up now and receive 10% off on all our bridal packages! It’s another time of the year, and that’s Christmas! 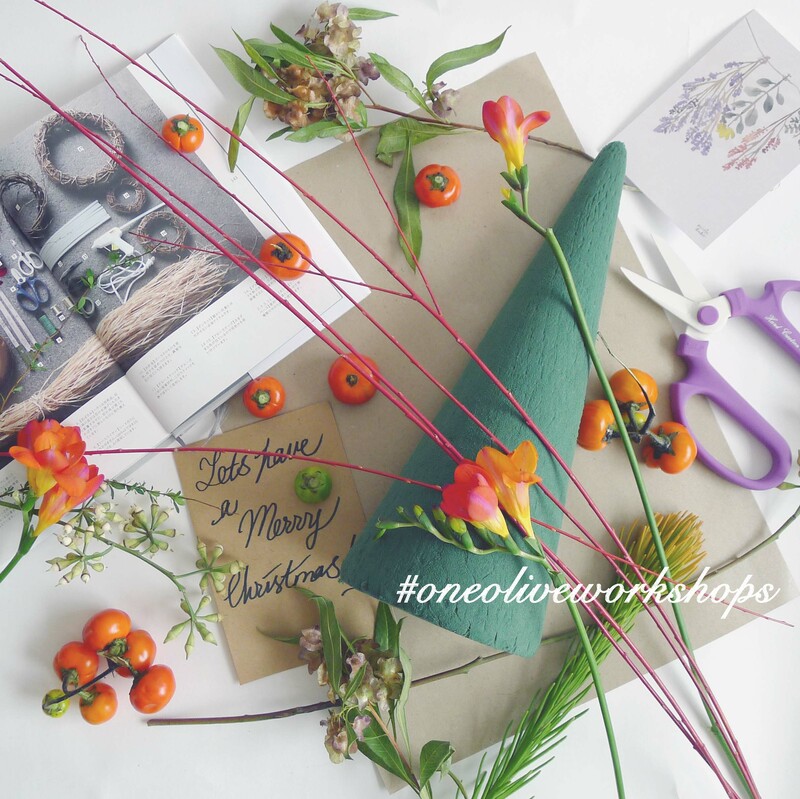 We have in store this round, an extremely fun time having you design your own Christmas mini tree which you will work with fresh flowers, fresh foliages and mini Christmas ornaments. What you bring home that weekend, will be a stunning and creative table top mini tree that will through Christmas for all the parties. All materials are provided and slots are limited, so book early to avoid disappointments! Free-form arrangement with natural garden style. Using foliage to wrap up the arrangement. Basket style arrangement with pink florals. Using foliage to create the basket. *All proceeds from this class will be donated to Breast Cancer Foundation in collaboration with TANGS Shop for Good campaign. Modern style art work arrangement. Using a structured leaves vessel. Rustic and wood lands is the theme for this arrangement. 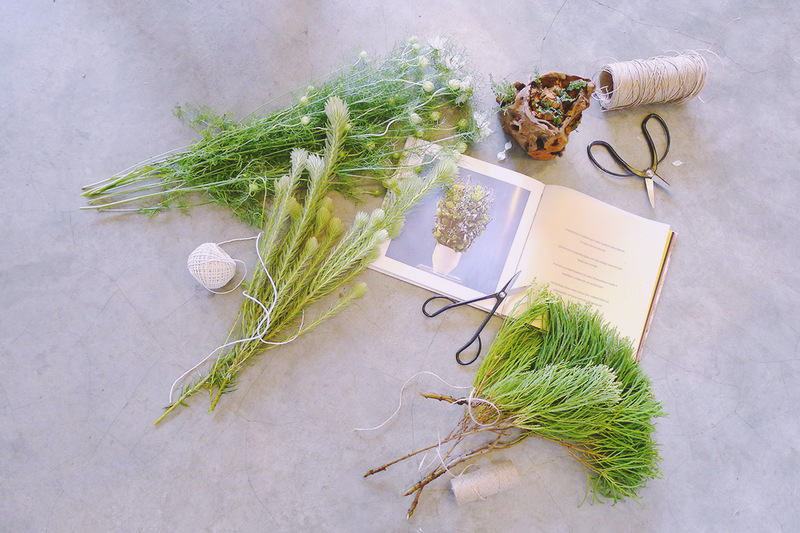 Learn to use moss to create a rustic arrangement. Our workshop this round, is something we are not thinking “out of the box” but rather we are creating smashing beautifully right “in the box”! It is an experience where we select, pick, sense, compose and enhance every bud of beautiful flower and foliage into a flower box. This workshop, we are focusing on the right composition with textures and hues which we will be arranging onto our Signature Black Boxette. Be this class of flowery fun have you combine and compose your very own, of a stylized box of luxe flowers which you’ll bring home your Boxette of aromatic flowers. 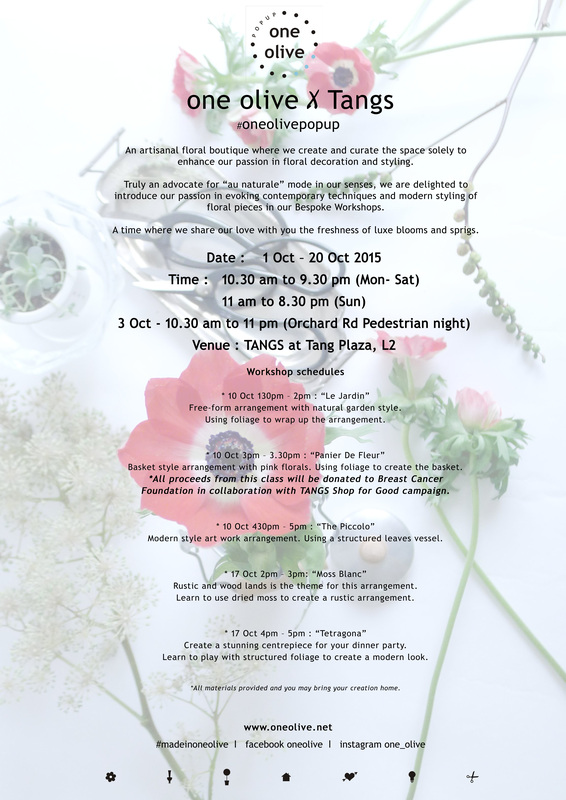 Come, have fun on a Saturday noon with creative sharing and fresh juices! 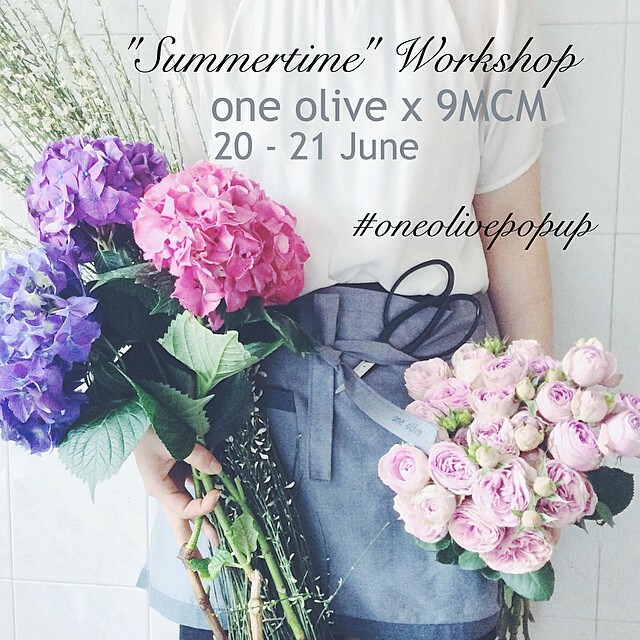 Email us : florals@oneolive.net for any details and workshop sign up. “Let’s dwell under the trees, feel the carefreeness of constructing a lovely and restful bunch of textured flowers and foliages. Allow the flowers to speak to you and watch as they bloom and dance along harmoniously in your stylized bouquet. 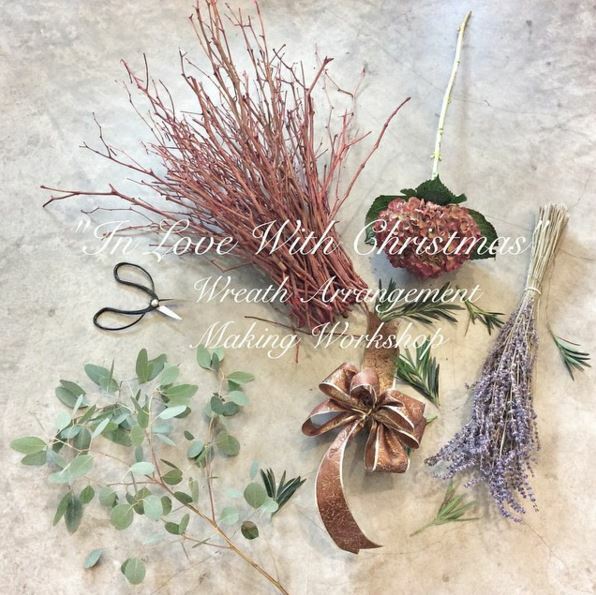 A class where we learn to work alongside with Christmas foliages, Ornamental decoration and fragrant aromatic materials. Come join us and you will bring home a proud creation of your own this Christmas. 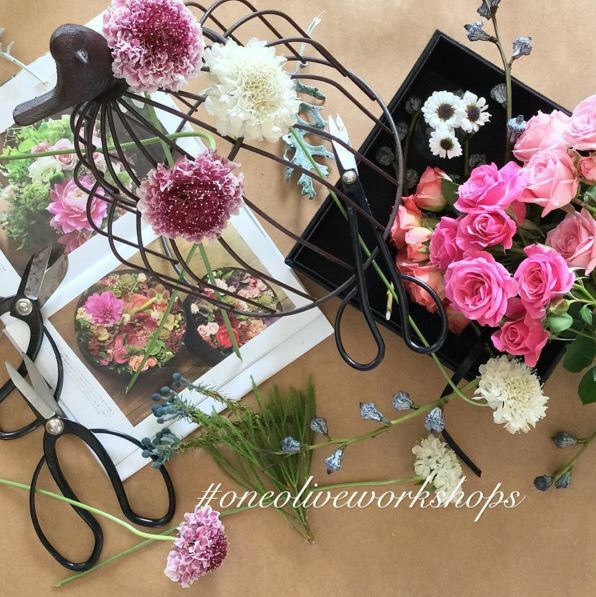 Our workshop do have limited slots as of now. our passion in floral decoration and styling.